To help students focus on the most important concepts-and effectively practice the application of those concepts-Macroeconomics is structured around a system of checkpoints which teach students how to think like an economist. Eye On boxes throughout each chapter challenge students to apply theory to important issues and problems that shape our global society and individual decisions. The result is a patient, confidence-building program that prepares students to use economics in their everyday lives, regardless of what their future career will be. Pearson recommends including MyEconLab with your textbook purchase. 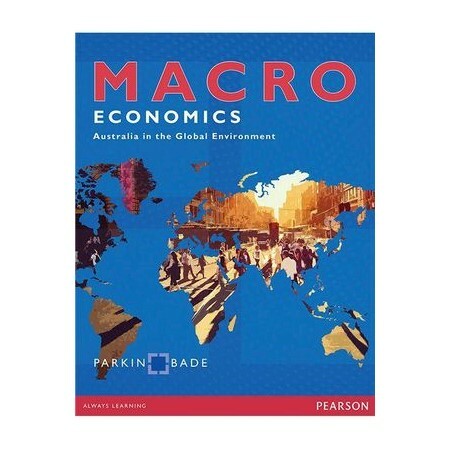 Personalised practice quizzes, guided solutions, adaptive multimedia learning tools and homework can be integrated with an optional eBook version of Macroeconomics: Australia in the Global Economy.